How can I set up RosterElf Time Clock? If you haven't already, you will need to download the RosterElf app for iPad or Android. 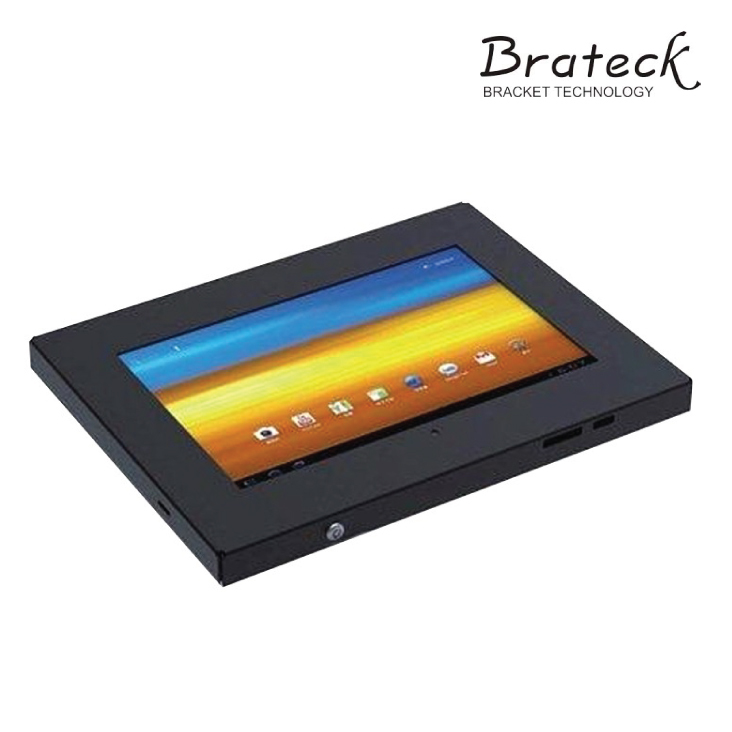 We suggest if your using a tablet in your business, you wall mount it somewhere safe and convenient for your employees. To help you out, we have tested a range of tablet wall brackets and we think the ones below offer good value for money. You can buy them online and have them delivered to your door! 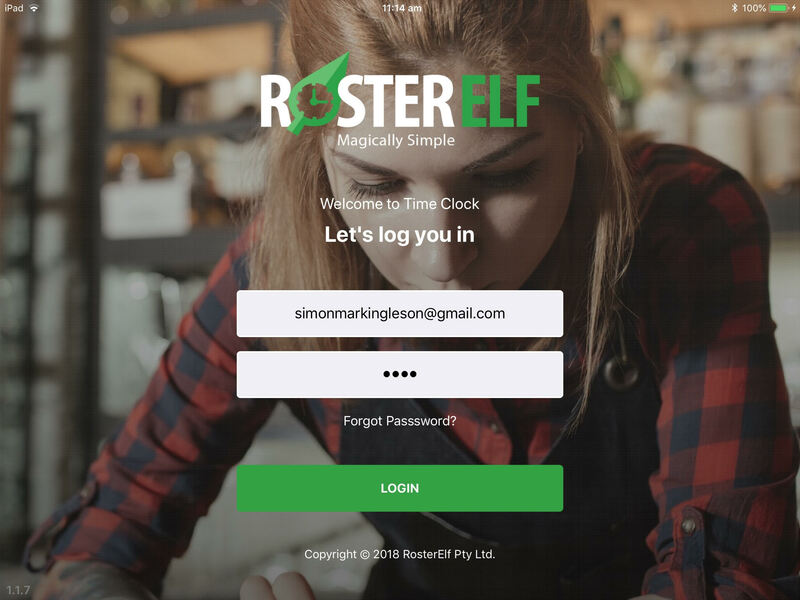 You will need a RosterElf account and a permission level of "Account Owner", "General Manager" or "Manager" to log into RosterElf's Time Clock app. Simply login with your email and RosterElf password on this screen. Once you have successfully logged into RosterElf's Time Clock app, you will see a complete list of shifts rostered for the current day. You will notice a range of status banners including Clocked-In, Clocked-Out, Break, Late and Sick. This provides an simple way to view at a glance, the status of all the planned shifts. NOTE: This view will be empty if you have not published a roster for the current day. 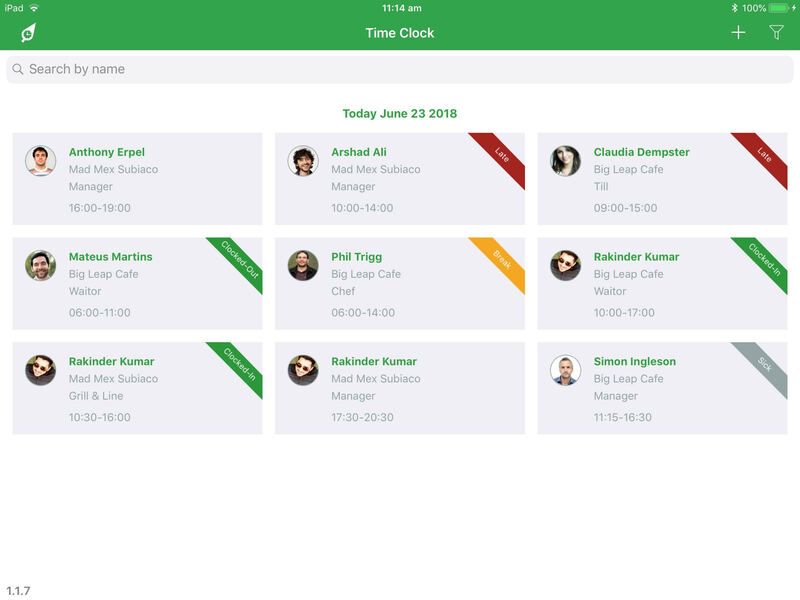 To clock in or out for shifts, your employees simply need to find and click on their name on the shift view. Employees will then be prompted to enter their password to continue. 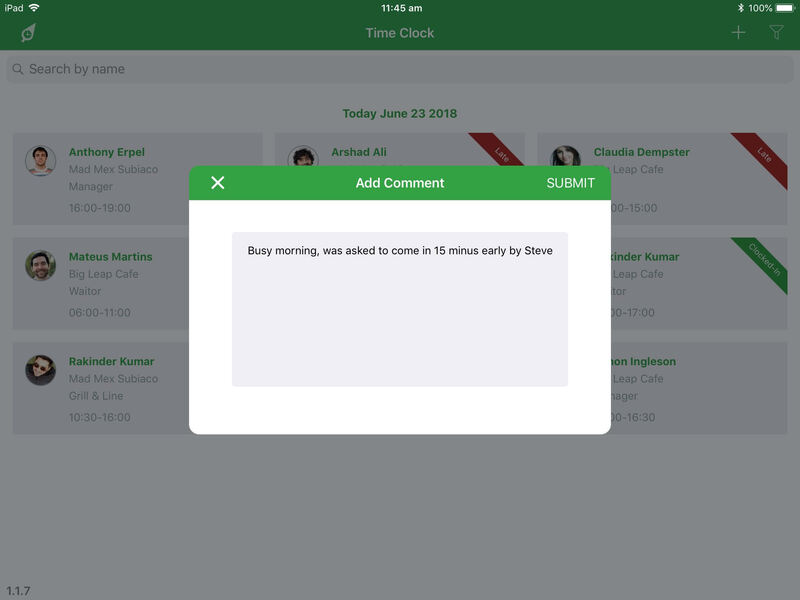 If the employee is either clocking in early or later (outside the set tolerance for your account), the Time Clock app will prompt them to leave a reason as to why. These comments are then recorded for management to assist when reviewing payroll. 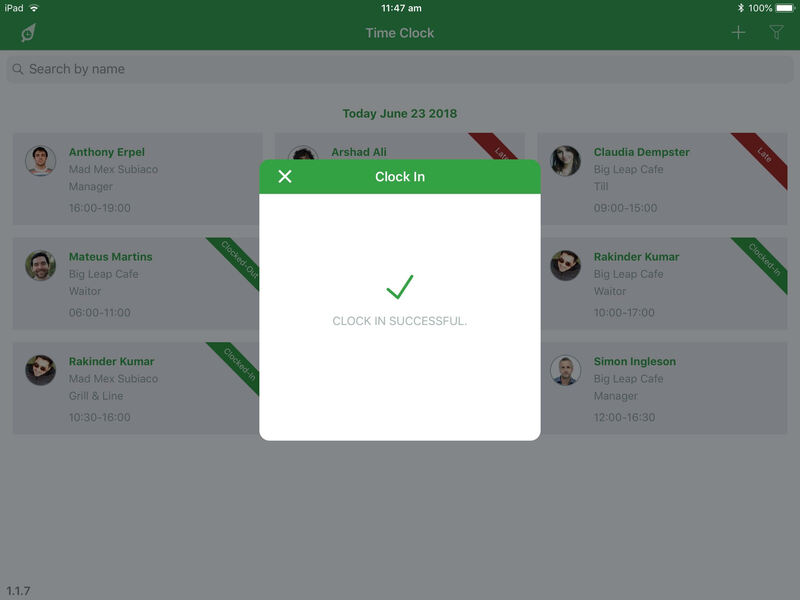 NOTE: Find out how to adjust the Time Clock tolerance HERE. 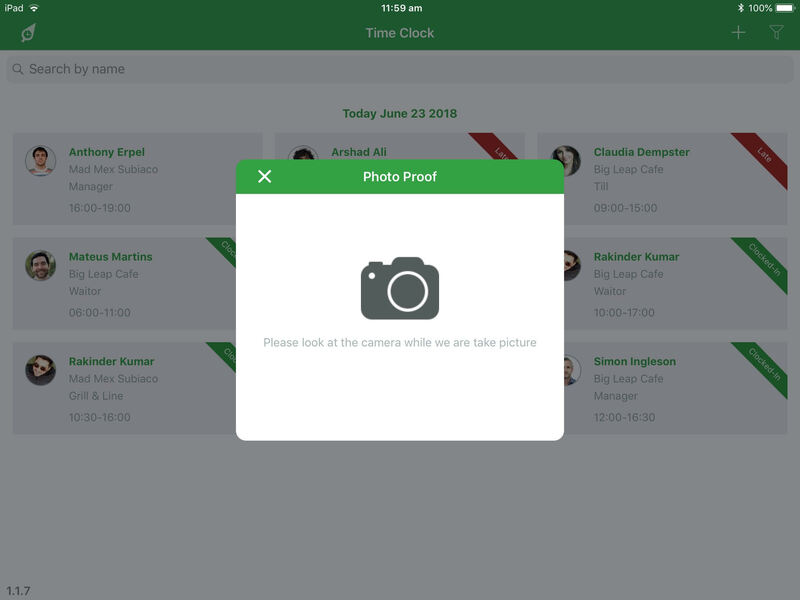 Lastly, employees will be asked to take a selfie, which can be review by managers during the payroll process as proof that the employee was actually on premises for their shift. The process of clocking in for shift is now done. Employees will be notified of success by screen below.